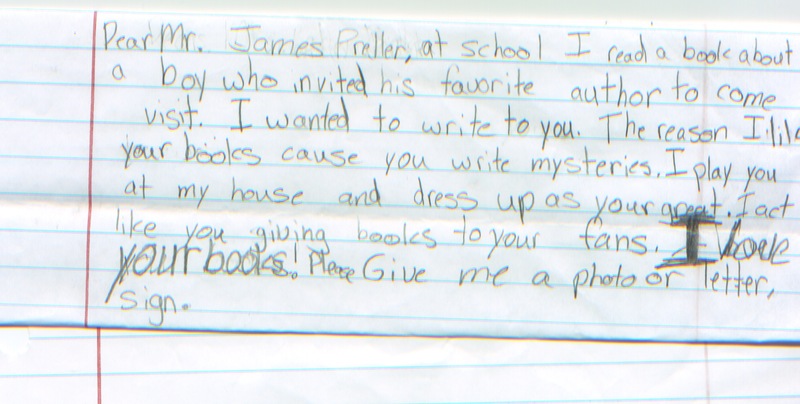 Fan Mail #169: Dressing Up Like James Preller! You may have noticed that I haven’t done much here in the way of fan mail recently. It’s a combination of getting less of it during the summer and, alas, finding my own answers a little perfunctory. But this one made me laugh, so I thought you’d enjoy it. Some poor kid out there is dressing up and pretending to be James Preller! The horror, the horror.